Meet the outstanding proprietress and community leader who makes a great difference in the Capitol City of Washington, DC. To own and operate a successful business anywhere in America it takes planning, courage and strength. Vonetta does it all...in style! In the Capital city of Washington, DC, one must keep up their appearance. To a woman, most importantly must make the perennial statement that should carry the day. 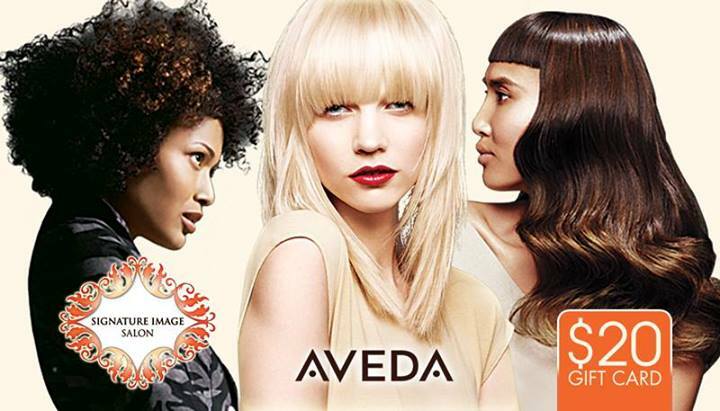 In this instance we will focus on "Signature Image Salon", an Aveda Concept Salon, located along the "U"st. corridor at 1517 "U"st. NW, 2nd Floor. There are many services available at the salon that one might expect and even more...a driver pickup, image consulting, personal shopping, even Total Image Makeovers. Vonetta Dumas is the CEO/Image Management Specialist of the salon and has a wide range of clients who care very much about their personal style and image that they reflect in their distinguished circles. Many of them are diplomats, high profile executives and people who just wish to look great. It takes a special personality and character to orchestrate an operation like the Signature Image Salon and Vonetta is the right person to make it happen. Her philosophy is to "radiate from the inside", and "creating a look to build their confidence to represent her guests best image. Ms. Dumas is an elected Public Official, serving as Advisory Neighborhood Commissioner (ANC). She has helped to organize neighborhood clean-ups, recently hosted a Turkey drive donating to Martha's Table feeding over 600 families and hosted clothing drives for back to work programs for the homeless. Vonetta hails from Cincinnati, Ohio and is a proud graduate of Northern Kentucky University where she received a B.A. in Speech Communications at the University of Cincinnati she obtained an A.S. in Business Management/Marketing. At Molar-Hollywood Beauty Acadamy she went on to receive her Certificate of Completion to start her new career in Cosmetology. From there Vonetta moved to Washington, D.C. where she established Signature Image Salon. Copa: How does it feel to own a successful business in Washington, DC? Vonetta: I feel blessed to own a growing company that provides a professional environment of wellness for both our guests and our stylists. Copa: What is your opinion of your staff? Vonetta: I am fortunate to have a team of professionals that are in alignment with our company vision. They are professional, talented and genuinely love what they do and serve selflessly. Copa: Would you please share with our readers a few of you services? Vonetta: We specialize in healthy hair, haircuts, and customized color. We offer wellness services from scalp, shoulder, neck and back messages with every service and a refreshing beverage. Copa: What gives you the energy to maintain everything that you do here on such a high level? Vonetta: Prayer, exercise, diet and a great team. Copa: We Also understand that you are a Neighborhood Advisory Commissioner (ANC), would you please share with our readers what your duties are? Vonetta: ANC's consider a wide range of policies and programs effecting their neighborhoods including traffic, parking, recreation, street improvements, liquor licenses, zoning, economic development, police protection, sanitation and trash collection, and the District's annual budget.